We’re excited to present to you our very first Patient Spotlight featuring Ryan Judy, founder of Seeker! 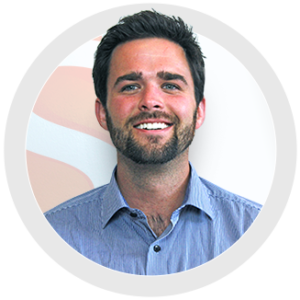 If you haven’t already experienced Ryan’s new app Seeker you are in for a treat! Seeker is an exciting new app created by Ryan and his team, that brings the great local deals from your neighborhood into the palm of your hand. 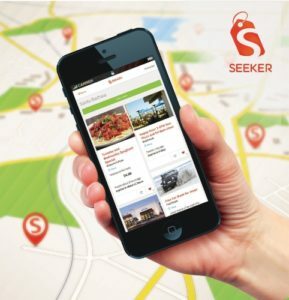 Thanks to Seeker, the sales at your favorite local stores that you only see when you’re lucky enough to pass by on the right day, or the Happy Hour deals you look for at your favorite restaurants when deciding where to meet friends after a long day at work, are now all available in one convenient location, Seeker.co! When asked about his treatment at Drs. Edstrom & Trigonis, Ryan said, “I had a great experience with Dr. Trigonis! I never had braces as a kid so getting them at age 27 wasn’t the most exciting idea in the world, especially working in business development where client meetings and conferences were a regular occurrence. Dr. Trigonis had a number of options that made the braces less visible and after noticing how many adults had them I certainly felt more comfortable. Throughout the course of treatment Dr. Trigonis had a high attention to detail but I appreciated the quick and efficient visits. As an entrepreneur now it means a lot to have a healthy, good looking smile to show off to the world! Thank you Dr. Trigonis and Edstrom!” For more information on Seeker and to check out the great local deals in your neighborhood, head on over to Seeker.co! And to get a great, confident smile like Ryan, schedule your complimentary consultation today at (805) 687-5561!